The suspect, Austin Smith, 30, had come home from a bar Thursday night and confronted his wife with accusations that he had cheated him, which he denied, according to the CNN affiliate KNXV. He then killed his wife and two daughters in the family home and went to the man's apartment he believed he was in contact with, Sgt. Tommy Thompson of the Phoenix Police Department. There, he destroyed the man and wounded the other two, he said. His wife, Dasia Patterson, 29, and their daughters Mayan Smith, 7, and Nasha Smith, 5, were found dead in a family home, police said. Her 3-year-old daughter was hiding under the bed when the police arrived and did not hurt, Thompson said. The suspect told the police that he did not murder his wife because he "reminded him of himself," the affidavit reported, citing the court documents. The police said the old daughter was killed by a trauma force, and the suspect told investigators that she had been killed because she was crying. Patterson's relatives say they have been destroyed and are trying to recognize the loss. "We are hurt because of our beloved Dasia and her children," said his family in a statement. "In our efforts to process our sad sadness, our focus is on the welfare of her only 3-year-old daughter. Her mother and sister are gone, and we want more than her with his family today. " After killing his family, Smith went to an apartment complex in Phoenix and killed Ron Freeman, 46, told his wife, police said. 1; a man and a woman – who had never met. The woman, 47, was in critical condition while the man, 33, suffered serious injuries. The police received a call about shooting the apartment and saw the suspect's car fled to the scene when they arrived, Thompson said. "The car stopped at a short distance from the scene … and the suspect, Austin Smith was taken into custody no incident," he added. At the scene of the second shot, one of the victims expressed concern for the suspect's family. When officials made a welfare check on the suspect's family, they found his deceased husband and two children. 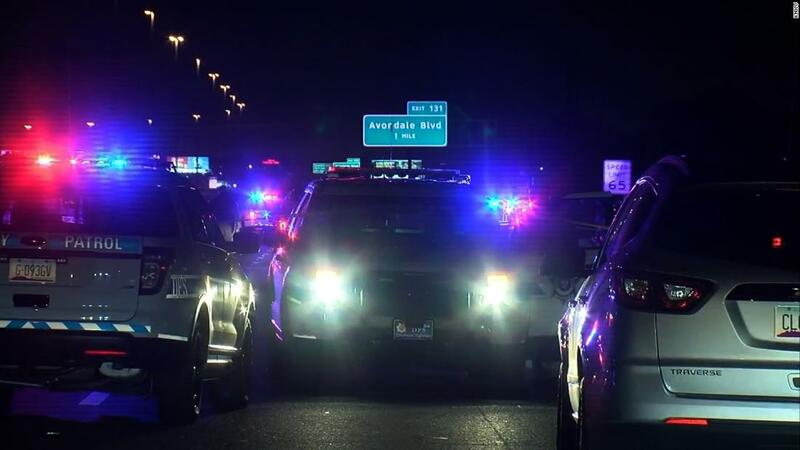 In an interview with investigators at the Phoenix Police headquarters, the suspect said "the reason he cut off these individuals because of God's sight is right for him to deal with a man in this way, "said Thompson. "He admitted to crimes and said he believed that his wife, Dasia, had harmed Ron, saying that God told him to do the things he did," he said. Smith was booked in the Maricopa County Jail and charged with four counts of the first killing level, two counts of first degree killing attempts and three aggravated assault counts. His lawyer's information is not readily available.